“Nationally, Indigenous people die from suicide at twice the rate of non-Indigenous people. This campaign comes at a critical time. As a community we are Stronger Together. Knowledge is culture, and emotional wellbeing can be learned from family members such as mothers and grandmothers. “ I have struggled with depression and anxiety for as long as I can remember. I’m 32 years old and only this year did I have the first psychologist ever ask me about my family history and acknowledge the intergenerational trauma that runs through Indigenous families. Like many others, I have thought about taking my own life. There were a myriad of factors that led to that point, and a myriad of factors that led to me not following through. But one of the factors was the immense weight of intergenerational trauma that I believe is embedded into my heart, mind and soul and at times feels too heavy a burden to carry. We can break this cycle of trauma. We need culturally safe Indigenous-designed suicide prevention programs and to destigmatise conversations around mental health. My hope is that, by sharing my own experiences of dealing with this complex subject, other people will be able to see that intergenerational trauma affects all of our mob. R U OK? 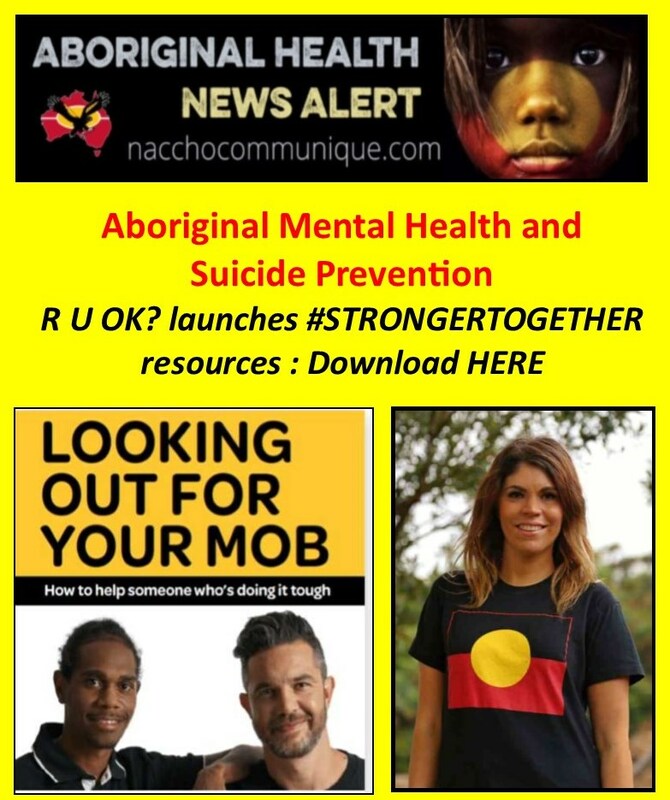 has launched STRONGER TOGETHER, a targeted suicide prevention campaign to encourage conversation within Aboriginal and Torres Strait Islander communities. Developed with the guidance and oversight of an Aboriginal and Torres Strait Islander Advisory Group and 33 Creative, an Aboriginal owned and managed agency, the campaign encourages individuals to engage and offer support to their family and friends who are struggling with life. 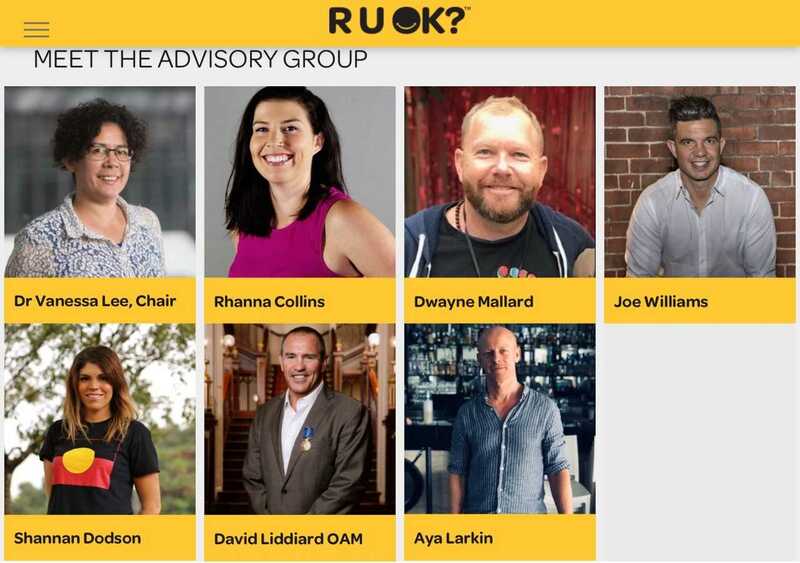 Positive and culturally appropriate resources have been developed to help individuals feel more confident in starting conversations by asking R U OK? The STRONGER TOGETHER campaign message comes at a time when reducing rates of suicide looms as one of the biggest and most important challenges of our generation. Islander people. A 2016 report noted that on average, over 100 Aboriginal and Torres Strait Islander people end their lives through suicide each year, with the rate of suicide twice as high as that recorded for other Australians . These are not just numbers. They represent lives and loved ones; relatives, friends, elders and extended community members affected by such tragic deaths. The video series showcases real conversations in action between Aboriginal and Torres Strait Islander advocates and role models. The focus is on individuals talking about their experiences and the positive impact that sharing them had while they were going through a tough time. “That weekend, I had the most deep and meaningful and beautiful conversations with my Dad that I never had. My Dad was always a staunch dude and I was always trying to put up a front to, I guess, make my Dad proud. But we sat there, and we cried to each other. Former NRL player and welterweight boxer Joe Williams has lent his voice to the series. Born in Cowra, Joe is a proud Wiradjuri man. Although forging a successful professional sporting career, Joe has battled with suicidal ideation and bipolar disorder. After a suicide attempt in 2012, a phone call to a friend and then his family’s support encouraged him to seek professional psychiatric help. Australian sports pioneer Marcia Ella-Duncan OAM has also lent her voice to the series. Marcia Ella-Duncan is an Aboriginal woman from La Perouse, Sydney, with traditional connection to the Walbunga people on the NSW Far South Coast, and kinship connection to the Bidigal, the traditional owners of the Botany Bay area. “Sometimes, all we can do is listen, all we can do is be there with you. And sometimes that might be all you need. Or sometimes it’s just the first step towards a much longer journey,” said Marcia. 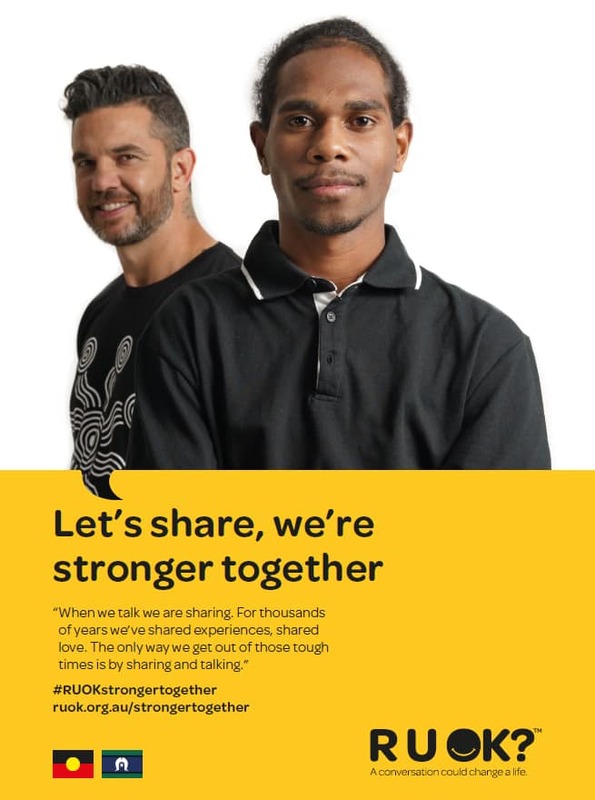 Click here to access the STRONGER TOGETHER resources on the RUOK? website. It is unacceptable and a national disgrace that there have been at least 35 suicides of Indigenous people this year – in just 12 weeks – and three were children only 12 years old. 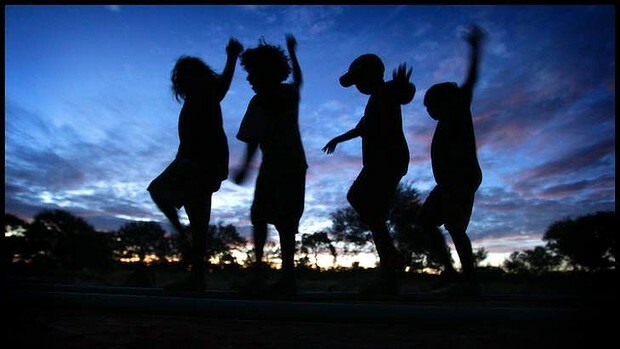 The Kimberley region – where my mob are from – has the highest rate of suicide in the country. If the Kimberley was a country it would have the worst suicide rate in the world. A recent inquest investigated 13 deaths which occurred in the Kimberley region in less than four years, including five children aged between 10 and 13. Western Australia’s coroner said the deaths had been shaped by “the crushing effects of intergenerational trauma”. When we’re talking about Indigenous suicide, we have to talk about intergenerational trauma; the transfer of the impacts of historical trauma and grief to successive generations. I have struggled with depression and anxiety for as long as I can remember. I’m 32 years old and only this year did I have the first psychologist ever ask me about my family history and acknowledge the intergenerational trauma that runs through Indigenous families. Indigenous suicide is different. Suicide is a complex issue, there is not one cause, reason, trigger or risk – it can be a web of many indicators. But with Aboriginal and Torres Strait Islander people intergenerational trauma and the flow-on effects of colonisation, dispossession, genocide, cultural destruction and the stolen generations are paramount to understanding high Indigenous suicide rates. When you think about the fact that most Indigenous families have been affected, in one or more generations, by the forcible removal of one or more children, that speaks volumes. The institutionalisation of our mob has had dire consequences on our sense of being, mental health, connection to family and culture. Just think about that for a moment. If every Indigenous family has been affected by this, of course trauma is transmitted down through generations and manifests into impacts on children resulting from weakened attachment relationships with caregivers, challenged parenting skills and family functioning, parental physical and mental illness, and disconnection and alienation from the extended family, culture and society. The high rates of poor physical health, mental health problems, addiction, incarceration, domestic violence, self-harm and suicide in Indigenous communities are directly linked to experiences of trauma. These issues are both results of historical trauma and causes of new instances of trauma which together can lead to a vicious cycle in Indigenous communities. Our families have been stripped of the coping mechanisms that all people need to thrive and survive. And while Aboriginal and Torres Strait Islander people are resilient, we are also human. Our history does shape us. Let’s start from colonisation. My mob the Yawuru people from Rubibi (Broome) were often brutally dislocated from our lands, and stripped of our livelihood. Our culture was desecrated and we were used for slave labour. My great-grandmother was taken from her father when she was very young and placed in a mission in Western Australia. My grandmother and aunties then all finished up in the same mission. And two of those aunties spent a considerable time in an orphanage in Broome, although they were not orphans. In 1907, a telegram from Broome station was sent to Henry Prinsep, the “Chief Protector of Aborigines for Western Australia” in Perth. It reads: “Send cask arsenic exterminate aborigines letter will follow.” This gives a glimpse of the thinking of the time and that of course played out in traumatic and dehumanising ways. In the late 1940s a magistrate in the court of Broome refused my great-grandmother’s application for a certificate of citizenship under the Native Citizen Rights Act of Western Australia. Part of his reasons for refusing her application was that she had not adopted the manner and habits of civilised life. My anglo grandfather was imprisoned for breaching the Native Administration Act of Western Australia, in that he was cohabiting with my grandmother. He was jailed for loving my jamuny (grandmother/father’s mother). My dad lost his parents when he was 10 years old. My grandfather died in tragic circumstances – and then my grandmother, again in tragic circumstances, soon after. My dad was collected by family in Katherine and taken to Darwin. There was a fear that he would be taken away – Indigenous families knew well the ways of the Native Welfare authorities, and I suspect they were protecting my dad from that fate. Unlike many Indigenous families, he was permitted to stay with them and became a state child in the care of our family. My family has suffered from ongoing systematic racism and research has shown that racism impacts Aboriginal people in the same way as a traumatic event. My family and community have suffered premature deaths from suicide, preventable health issues, grief and inextricable trauma. We can break this cycle of trauma. We need culturally safe Indigenous-designed suicide prevention programs and to destigmatise conversations around mental health. My hope is that, by sharing my own experiences of dealing with this complex subject, other people will be able to see that intergenerational trauma affects all of our mob. The more we identify and acknowledge it, we’ll be stronger together. 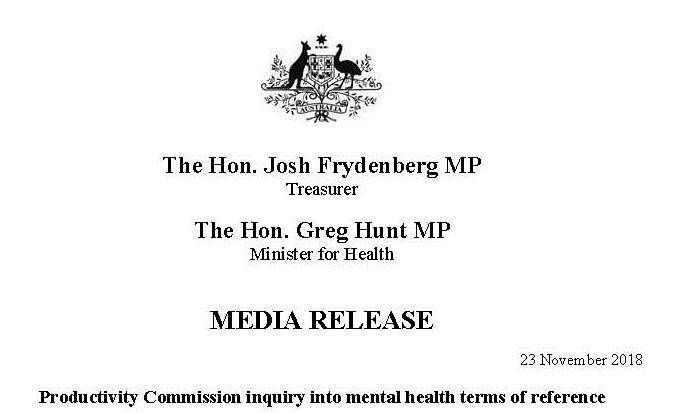 “The Coalition Government has this week released the terms of reference for the Productivity Commission’s inquiry into mental health and announced the appointment of an Associate Commissioner for the inquiry. The Federal Government will establish a Productivity Commission Inquiry into the role of mental health in the Australian economy and the best ways to support and improve national mental wellbeing. Mental health challenges not only have a devastating personal impact, but significantly affect individuals’ employment and productivity. This has an effect on incomes, living standards, physical wellbeing, and social connectedness. ” The Minister for Health promised the Inquiry would begin in October but delayed the release of the Terms of Reference until today. Labor wrote to Minister Hunt and Treasurer Frydenberg seeking input into the Terms of Reference of this important Inquiry. 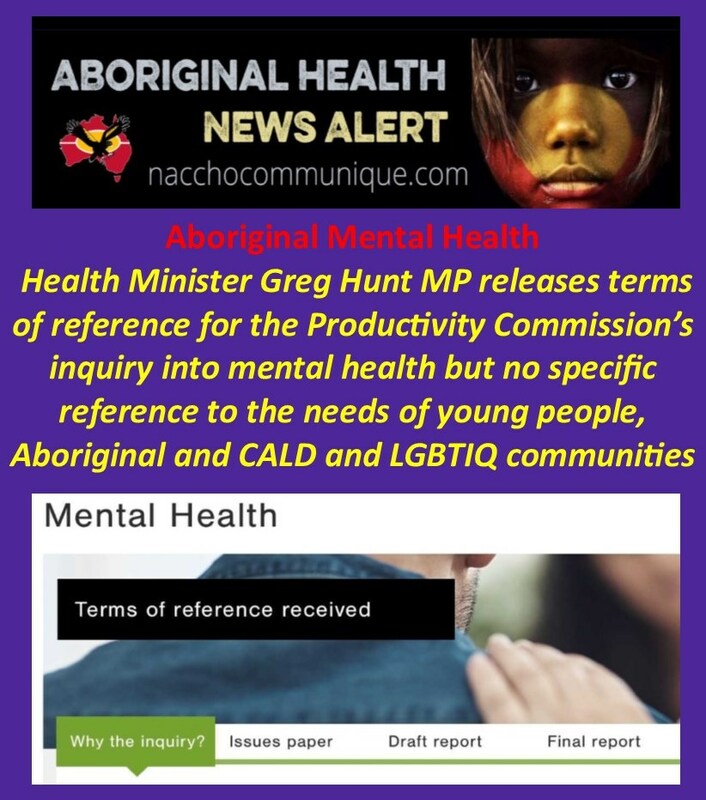 We are pleased the Inquiry will have regard to previous work by the National Mental Health Commission and the Productivity Commission but are disappointed emphasis on prevention, early intervention and the need for data has not been explicitly mentioned.Labor also hoped to see specific reference to the needs of young people, Aboriginal and Torres Strait Islanders , Culturally and Linguistically Diverse (CALD ) and Lesbian, Gay, Bisexual, Transgender, Intersex, Queer/Questioning and Allied ( LGBTIQ) communities in the Terms of Reference. “ The Commission will consult with Indigenous leaders including the National Mental Health Commission’s Professor Helen Milroy and Professor Ngiare Brown on their expertise. Minister for Health, Greg Hunt said he has consulted with state and territory health and mental health ministers as well as the National Mental Health Commission to seek their views on the scope and terms of reference of the inquiry. To assist the Commission in undertaking this inquiry, Professor Harvey Whiteford has been appointed as an Associate Commissioner. Professor Whiteford is a member of the National Mental Health Commission’s Advisory Board, Professor of Population Mental Health at the University of Queensland, and Professor of Global Health at the Institute of Health Metrics and Evaluation, University of Washington. He brings extensive experience to the role, having worked on mental health policy with the World Health Organisation, World Bank, OECD and governments in Europe, Africa and Asia. 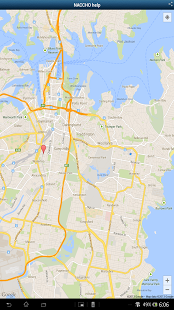 Authorised by Greg Hunt MP, Liberal Party of Australia, Somerville, Victoria. The two Commissioners overseeing the inquiry are Dr Stephen King and Julie Abramson. 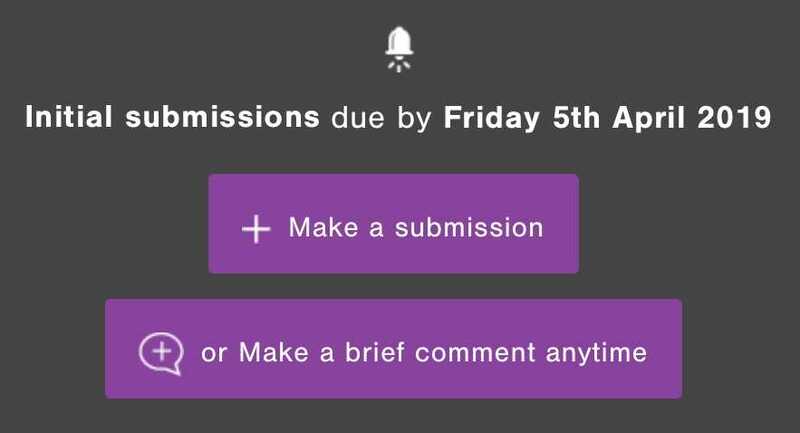 The Commission will take submissions and will hold public consultations, including in regional areas. All interested parties, including carers and patients, are encouraged to participate. The inquiry will begin immediately and is due to report to Government within 18 months. While Labor welcomes the release of the Terms of Reference for the Productivity Commission Inquiry into Mental Health, we reiterate the Abbott-Turnbull-Morrison Government should not use this Inquiry to delay action in progressing reform that is needed. The Productivity Commission inquiry will be important to understanding the social and economic costs in relation to mental health. But sadly there have already been delays to getting the Inquiry underway. Questions remain about why this Inquiry is being initiated now, 18 months after former National Mental Health Commission chairman Professor Allan Fels called for it. The Minister for Health promised the Inquiry would begin in October but delayed the release of the Terms of Reference until today. Labor wrote to Minister Hunt and Treasurer Frydenberg seeking input into the Terms of Reference of this important Inquiry. We are pleased the Inquiry will have regard to previous work by the National Mental Health Commission and the Productivity Commission but are disappointed emphasis on prevention, early intervention and the need for data has not been explicitly mentioned. Labor also hoped to see specific reference to the needs of young people, ATSI, CALD and LGBTIQ communities in the Terms of Reference. We are disappointed that the needs of these communities have not been explicitly addressed in the Terms of Reference despite the fact that, sadly, mental ill health and suicide continues to disproportionately impact these groups. Too often the Abbott-Turnbull-Morrison Government has played catch-up in this vital area of policy, approaching mental health reform from a piecemeal perspective. 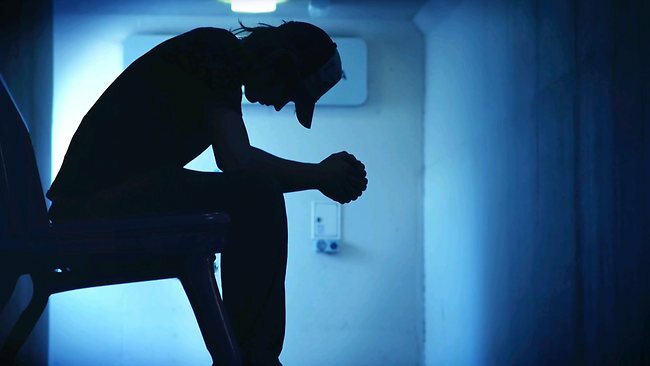 Australians living with mental ill health cannot afford more delays. The Productivity Commission Inquiry represents a real opportunity for reform and should not be squandered by this government. The Morrison Government should be leading the states and territories with reform to ensure the 4 million Australians living with mental ill health get the vital support and services they need. 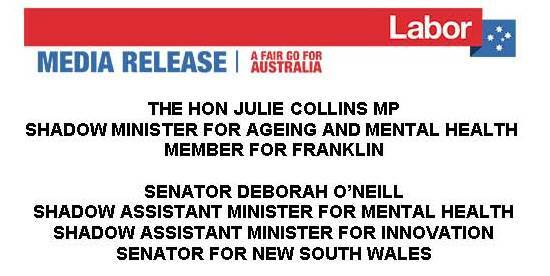 Labor will be closely monitoring the progress of this important Inquiry. This comprehensive inquiry will reveal the true impact of mental illness on the economy, and provide recommendations on how the Government can most effectively improve population mental health, and social and economic participation. The Federal Government will spend an estimated $4.7 billion this year on mental health. Once state and territory government funding is added to this, the investment in mental health rises to around $9 billion per year – that is equivalent to $1 million per hour – every hour of every day. Minister for Health, Greg Hunt, said he has worked closely with the Prime Minister and Treasurer to finalise the terms of reference and establish the inquiry. “Every year around four million Australians deal with some form of chronic or episodic mental health condition. Sadly, one in five Australians affected by mental illness do not seek help because of stigma,” Minister Hunt said. “I have consulted with state and territory health and mental health ministers to seek their views on the scope and terms of reference of the inquiry and have welcomed their support. The Productivity Commission will undertake broad consultation, including holding hearings in regional Australia and inviting public submissions. It will then make recommendations on measures to improve population mental health to help people lead full and productive lives. The inquiry is due to begin later this month and the final report should be provided to the Government within 18 months. The Morrison Government is committed to making a difference and has made mental health a key pillar in our Long Term Health Plan. Our commitment is also reflected in our extra $338.1 million investment in suicide prevention, research, and programs for older Australians in this year’s Budget. 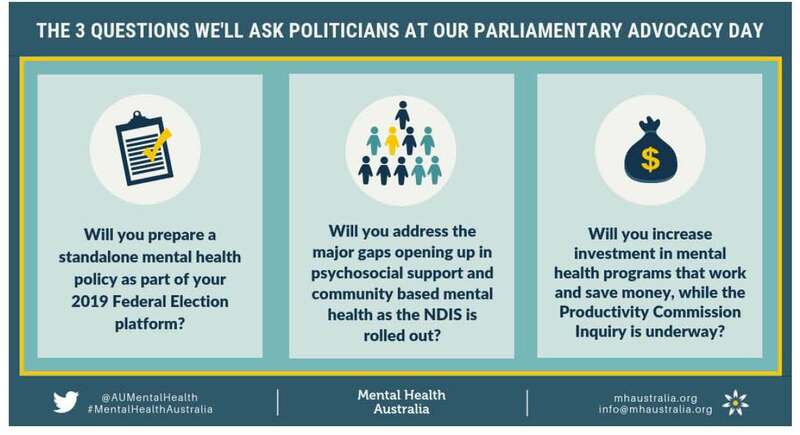 Representatives from more than 60 mental health organisations will meet with politicians at Parliament House today, Tuesday 27 November, to ask three key questions ahead of the 2019 Federal Election and Productivity Commission Inquiry. The Mental Health Australia Parliamentary Advocacy Day will see key Ministers, Senators and MPs including Minister for Families and Social Services, The Hon Paul Fletcher MP Minister for Health The Hon Greg Hunt MP, and Shadow Minister for Ageing and Mental Health The Hon Julie Collins MP, meet with over 100 sector delegates to discuss mental health reform. Advocacy efforts will focus on ensuring policy makers recognise the value of investment in mental health, asking parties to articulate their policies ahead of the election, address gaps in the NDIS, and keep funding programs that work while the Productivity Commission Inquiry is underway. Mental Health Australia CEO Frank Quinlan says the timing is right for the sector as a whole to ask politicians to commit to expanding and reorienting mental health reform. “Firstly, we will be asking the major parties to prepare standalone mental health policies as part of their 2019 election platforms and we will assess these policies ahead of the election,” said Mr Quinlan. “Secondly, we will be asking for urgent commitments to address the major gaps that are opening up in psychosocial support and community based mental health as the NDIS is rolled out, and as related programs are being wound back. The 2018 Mental Health Australia Parliamentary Advocacy Day and Members Policy Forum will be held at Parliament House, Canberra TODAY Tuesday 27 November from 9:30am. “This is devastating Aboriginal communities and we must do everything in our power to try to save these young lives. If we can train up young people and others in our communities to recognise and react to the warning signs in their peers, there is a good chance we can support those who are suffering before they reach the point of no return. “Are people living in rural and remote Australia more likely to be hospitalised for mental health conditions than their city counterparts? The report, Healthy Communities: Hospitalisations for mental health conditions and intentional self-harm in 2013-2014, recently released by the Australian Institute of Health and Welfare gives some insight into this issue. The report, Healthy Communities: Hospitalisations for mental health conditions and intentional self-harm in 2013–14, looks at local-level variation in populations across Australia’s 31 Primary Health Network (PHN) areas and 330 smaller local areas. ‘Overnight hospitalisations for mental health conditions varied across PHN areas, from 627 per 100,000 people in the ACT to 1,267 per 100,000 in North Coast NSW. Overall, regional PHN areas had higher rates of hospitalisations than city-based PHNs,’ said AIHW spokesperson Michael Frost. The disparity between regional and metropolitan PHN areas was more pronounced for hospitalisations related to intentional self-harm. ‘Across all PHN areas, rates ranged from 83 per 100,000 people in Eastern Melbourne PHN area to 240 per 100,000 in Central Queensland, Wide Bay and Sunshine Coast – a three-fold variation,’ Mr Frost said. The report also looks at hospitalisations for six sub-categories of mental health: drug and alcohol use, schizophrenia and delusional disorders, anxiety and stress disorders, depressive episodes, bipolar and mood disorders, and dementia. Hospitalisations for these sub-categories varied across PHN areas. For the 330 smaller local areas, the report examined variation in overnight mental health hospitalisations within and across socioeconomic and remoteness areas. It found significant disparities – up to four-fold variation – when comparing similar local areas. The report will be also available on the MyHealthyCommunities website (http://www.myhealthycommunities.gov.au). The website is now managed by the AIHW, following the transfer of functions from the former National Health Performance Authority in June. Overall, overnight hospitalisation rates were 13 per cent higher in rural and remote areas (971 hospitalisations per 100 000 population) as compared to metropolitan areas (857 per 100 000 population). While data indicates significant difference in the rates of hospitalisation in rural and remote Australia compared with major centres, it also reveals significant variation within regions – the rates of hospitalisation in some towns can be almost 8 times higher than for other towns of the same remoteness. The NSW north coast had the lowest overall rate of overnight hospitalisations for health conditions. For drug and alcohol hospitalisations, western Queensland had the highest rates. Country South Australia had the highest hospitalisation rate for depressive episodes. Central Queensland/Sunshine Coast had the highest hospitalisation rate for intentional self-harm. The very large variations in mental illness hospitalisation within cities, within rural Australia and within remote communities underlies the importance of targeting programs to specific towns and communities, rather than our current approach of treating all rural areas and all remote areas as if they have the same needs. The variation in rates could be due to a number of factors including differences in the prevalence in mental illness, variable access to mental health services and programs or even differences in hospital admissions processes in rural and remote hospitals. The National Rural Health Alliance is Australia’s peak non-government organisation for rural and remote health. Its vision is good health and wellbeing in rural and remote Australia. The data will be invaluable to funders and health services in identifying and targeting areas of poor health to ensure that efforts and resources are targeted to the areas of greatest need. The National Rural Health Alliance looks forward to working with the Rural Health Commissioner, when they are appointed, to address such poor health outcomes within rural and remote Australian communities. you can call Lifeline on 13 11 14. 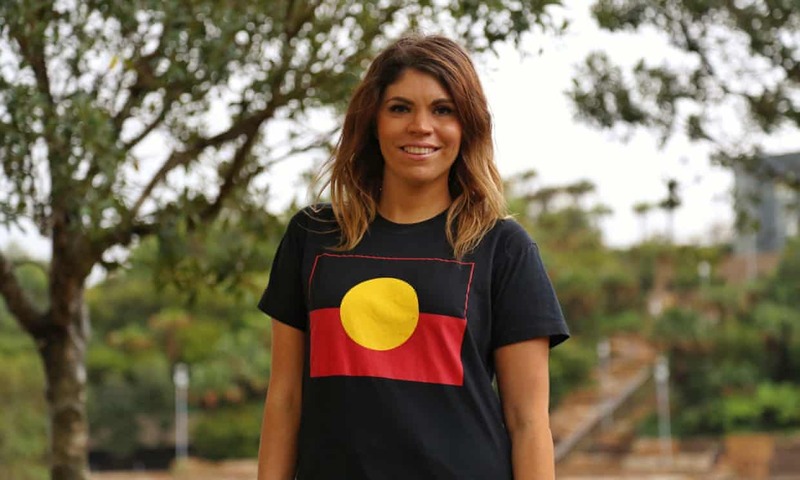 “Constitutional recognition is so important because it is about recognition of Aboriginal heritage, our connection to country and our rights as Australia’s First Peoples. The peak Aboriginal health organisation today reaffirmed its support for the full and proper recognition of Aboriginal and Torres Strait Islander people in Australia’s Constitution as Mabo Day is celebrated across the country. 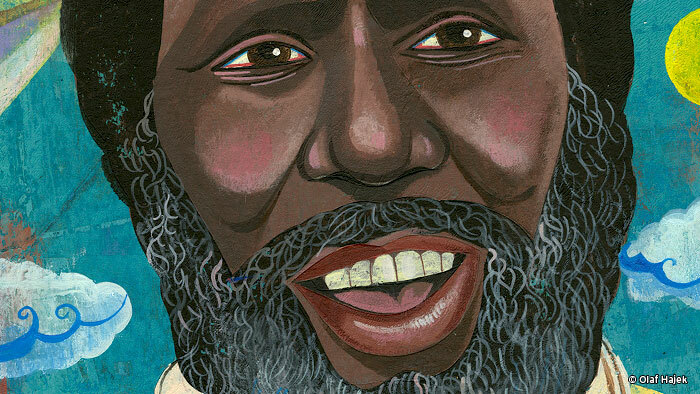 Mabo Day commemorates a landmark High Court decision that removed the idea of ‘terra nullius’ from Australian law, after a decade long campaign for a native title claim by a group of Torres Strait Islander people, led by Eddie Koiki Mabo. 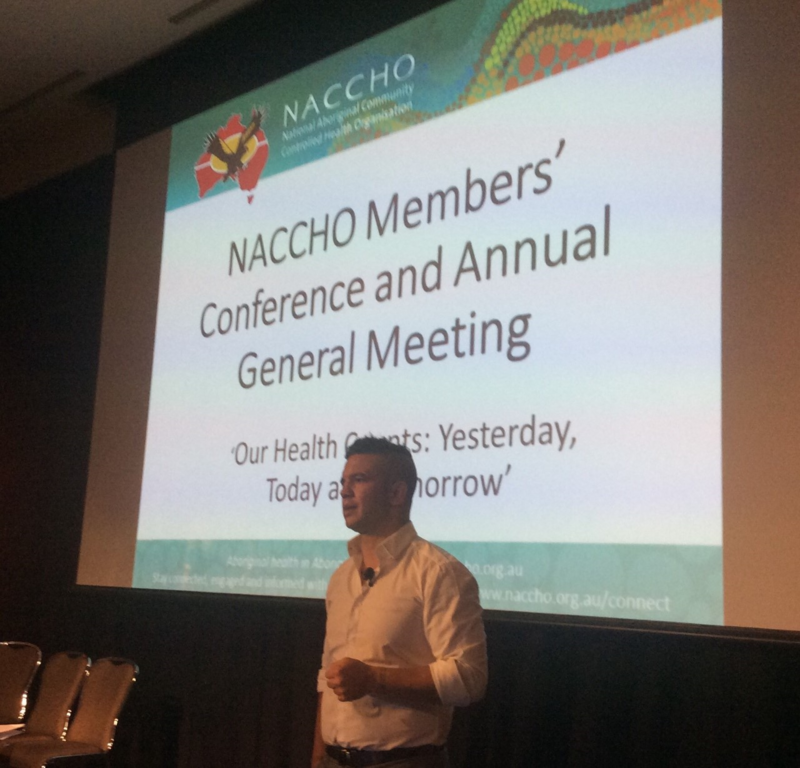 National Aboriginal Community Controlled Health Organisation (NACCHO) Chair, Matthew Cooke, said Mabo Day celebrates a big step towards reconciliation for Aboriginal people but also highlights how far we have to go and the need to remove all discrimination from the Australian Constitution. “Twenty three years has passed since that historical decision which finally recognised that Aboriginal and Torres Strait Islanders had occupied this land for tens of thousands of years before white colonisation. “We now need nothing less than full and proper recognition of Aboriginal and Torres Strait Islander people in Australia’s constitution and the removal of all traces of discrimination,” said Mr Cooke. “Racism, discrimination and a lack of respect and recognition have terrible and lasting impacts on Aboriginal and Torres Strait Islander people’s mental health and social wellbeing. “Constitutional recognition, like the Mabo decision and the national apology, would be another step in the right direction towards not just reconciliation but also in closing the gap in the health of Aboriginal and Torres Strait Islander people. “However, efforts to achieve recognition need time and proper planning, including an extensive education and awareness campaign to ensure all Australians fully understand why recognition is so important. “It is also critical that constitutional recognition does not prevent or make void any efforts by Aboriginal and Torres Strait Islander people to assert their rights as sovereign peoples or to pursue a treaty. “Aboriginal and Torres Strait Islander people experience suicide at around twice the rate of the rest of the population. Aboriginal teenage men and women are up to 5.9 times more likely to take their own lives than non-Aboriginal people. This is a crisis affecting our young people. It’s critical real action is taken to urgently address the issue and it’was heartening to see the previous Federal Government taking steps to do that. For any strategy to be effective, local, community-led healthcare needs to be at its core. During the last three years of Aboriginal and Torres Strait Islander suicides are at nearly 400, no less than 380. Last year, I aggregated Australian Bureau of Statistics (ABS) hospital collated data on reported suicides of Aboriginal and Torres Strait Islander peoples – 996 suicides from 2001 to 2010. That is 1 in 24 of all deaths of Aboriginal and Torres Strait Islander people – by suicide. NACCHO community support : Raising funds for Elders report into Preventing Self-harm & Indigenous suicide. 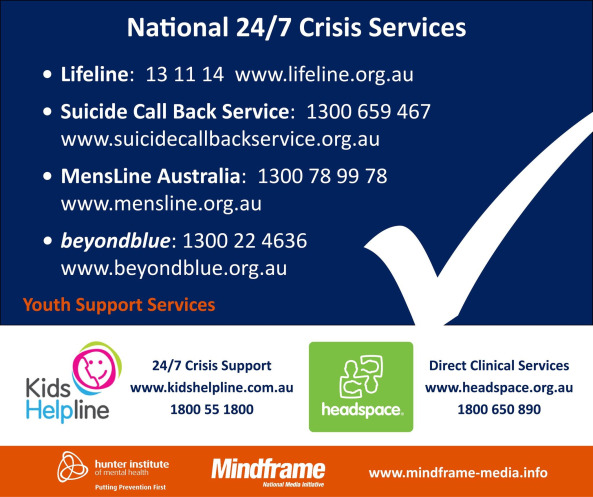 There is no ABS data available at time to determine whether the crisis has abated or got worse, but I have been record keeping reported suicides – whether through the media, community organisations or via other sources – for my own academic research on premature and unnatural deaths. I have found that from the beginning of 2011 to end 2013 there have been nearly 400 suicides – child, youth and adult – of Aboriginal and Torres Strait Islander peoples. My own research estimates that the 996 suicides recorded between 2001 to 2010 are an under reporting of the actual numbers, and instead of 1 in 24 deaths by suicide, I have estimated that the rate of suicide was between 1 in 12 to 1 in 16. The 2001 to 2010 suicides average to 99.96 suicides per year. In reflection it was 99 custodial deaths alone over a ten year period in the 1980s that led to the Royal Commission into Aboriginal Deaths in Custody. How many suicides will it take before this nation’s most horrific tragedy is met head on with a Royal Commission? My research compilations during the last three years of Aboriginal and Torres Strait Islander suicides are at nearly 400, no less than 380. Where there had been an average 99 deaths by suicide from 2001 to 2010, according to my research the annual average for 2011 to 2013 has tragically increased to approximately 130 suicides per annum. He added the crisis to the IAC’s mandate – and he time-limited it to six months so that the crisis would not languish. But three months have passed and we have not heard anything from the Council despite several requests to them for information on any potential progress. At the time, Mr Mundine expressed his shock at the extent of the crisis. “The figures sit before your eyes and the scale of it you sort of go ‘oh my god, what the hell is going on?’ I admit that I was probably one of the problems, because we seem to handle mental illness and suicide and shunt it away, we never dealt with it as a society, but we have to deal with it, confront it, because we are losing too many of our people, too many of our young ones… It is about us understanding this and challenging ourselves, and as I said I am just as bad as anyone else out there who put this away and did not want to deal with mental health and the suicide rates, so we have to get over that,” said Mr Mundine. Since October 23 there have been two score suicides. Dumbartung Aboriginal Corporation CEO Robert Eggington said that in the last two weeks another spate of suicides has blighted both the south west and the north west of Western Australia. “There have been suicides among our youth in recent weeks, another tragic spate. We met with the Premier last year and we are waiting for his promises to be kept to fund safe spaces and strategies for us to coordinate the helping of our people, but to date we have been kept waiting,” said Mr Eggington. Chair of the Narrunga People, Tauto Sansbury said that he has been trying to arrange a meeting with Mr Mundine but despite three months of effort this has not occurred – Mr Mundine had promised to organise a meeting with Mr Sansbury following articles about the high rate of suicides among South Australia’s Aboriginal people. “We have become used to broken promises by our State Government for a 24/7 crisis centre for our people and we hoped that Warren (Mundine) would represent the needs of our people, stand up for our most vulnerable, the at-risk, but to date he is yet to meet us let alone represent us,” said Mr Sansbury. To the Northern Territory, where Aboriginal child suicides have increased by 500 per cent since the launching of the infamous “Intervention”, Arrente man and Bond University criminology student, Dennis Braun has reported the dark plight of one of the Territory’s communities – 33 deaths in five months. The community’s Elders have requested that the community is not publicly identified. This publication has prioritised the suicide crisis for quite some time, sustaining the coverage, and the stories of loss, the grieving families, and we have effectively campaigned to Government to rise to the occasion. We do not apologise for this. On October 23, Mr Mundine and the Indigenous Advisory made a commitment that they must keep. A paper released last week on the Closing the Gap Clearinghouse website examines the beneficial effects of participation in sports and recreation for supporting healthy Aboriginal and Torres Strait Islander communities. The paper, Supporting healthy communities through sports and recreation programs, reviews over 30 studies, covering all geographic areas from inner city to remote regions, and age groups ranging from primary school to young adult. It shows that there are many benefits to Aboriginal and Torres Strait Islander communities from participation in sport and recreational programs, including some improvements in school retention, attitudes towards learning, social and cognitive skills, physical and mental health and wellbeing; increased social inclusion and cohesion; increased validation of and connection to culture; and some evidence of crime reduction. The paper shows that although the effects of sports and recreation programs can be powerful and transformative, these effects tend to be indirect and therefore hard to measure. For example, programs to reduce juvenile antisocial behaviour largely work through diversion—these can provide alternative and safer opportunities for risk-taking, for maintenance of social status, and in building healthy relationships with elders. Engaging the community in the planning and implementation of programs, as this will ensure that the program is culturally appropriate, and potentially sustainable. • There is some evidence, in the form of critical descriptions of programs and systematic reviews, on the benefits to Aboriginal and Torres Strait Islander communities from participation in sport and recreational programs. These include some improvements in school retention, attitudes towards learning, social and cognitive skills, physical and mental health and wellbeing; increased social inclusion and cohesion; increased validation of and connection to culture; and crime reduction. • Although the effects of sports and recreation programs can be powerful and transformative, these effects tend to be indirect. For example, using these programs to reduce juvenile antisocial behaviour largely work through diversion, providing alternative safe opportunities to risk taking, maintenance of social status, as well as opportunities to build healthy relationships with Elders and links with culture. • Although Indigenous Australians have lower rates of participation in sport than non-Indigenous people, surveys suggest that around one-third of Indigenous people participate in some sporting activity (ABS 2010). 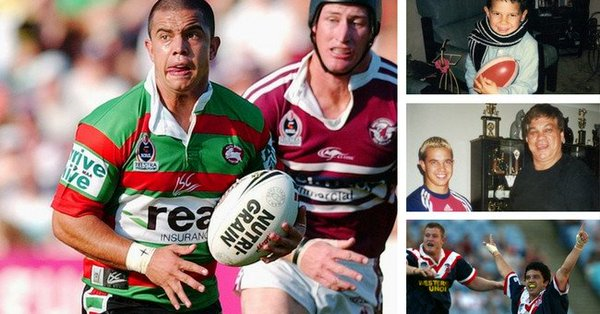 That makes sports a potentially powerful vehicle for encouraging Indigenous communities to look at challenging personal and community issues. • Within Indigenous communities, a strong component of sport and recreation is the link with traditional culture. Cultural activities such as hunting are generally more accepted as a form of sport and recreation than traditional dance. Therefore sport and recreation are integral in understanding ‘culture’ within Indigenous communities, as well as highlighting the culture within which sport and recreation operate. There are a range of benefits pertaining to participation in sports and recreation activities. In the absence of evaluation evidence, below is a list of principles of ‘what works’ and ‘what doesn’t work’ to assist with sport and recreation program implementation. • Providing a quality program experience heightens engagement in the sports or recreational activity. • Where no activity has been previously made available, offering some type of sport or recreation program to fill that void should be given priority over making selective decisions about which program to carry out. • Linking sports and recreation programs with other services and opportunities (for example, health services or counselling; jobs or more relevant educational programs) improves the uptake of these allied services. This assists in developing links to other important programs for improving health and wellbeing outcomes, or behavioural change. • For sporting programs, providing long-term sustained, regular contact between experienced sportspeople and participants allows time to consolidate new skills and benefits that flow from involvement in the program. • Promoting a program rather than a desired outcome improves the uptake of activities—for example, a physical fitness program is more likely to be well used if promoted as games or sports rather than a get-fit campaign. • Involving the community in the planning and implementation of programs promotes cultural appropriateness, engagement and sustainability. • Keeping participants’ costs to a minimum ensures broad access to programs. • Scheduling activities at appropriate times enhances engagement—for example, for young people, after school, weekends and during school holidays, when they are most likely to have large amounts of unsupervised free time. • Facilitating successful and positive risk taking provides an alternative to inappropriate risks. • Creating a safe place through sports or recreation activities, where trust has been built, allows for community members to work through challenges and potential community and personal change without fear of retribution or being stigmatised. • Ensuring stable funding and staffing is crucial to developing sustainable programs. The chair of National Aboriginal Community Controlled health organisation (NACCHO) this week joined with the AFL Indigenous All Stars at its International rules training session in Melbourne to launch Australia’s first Aboriginal Health APP. 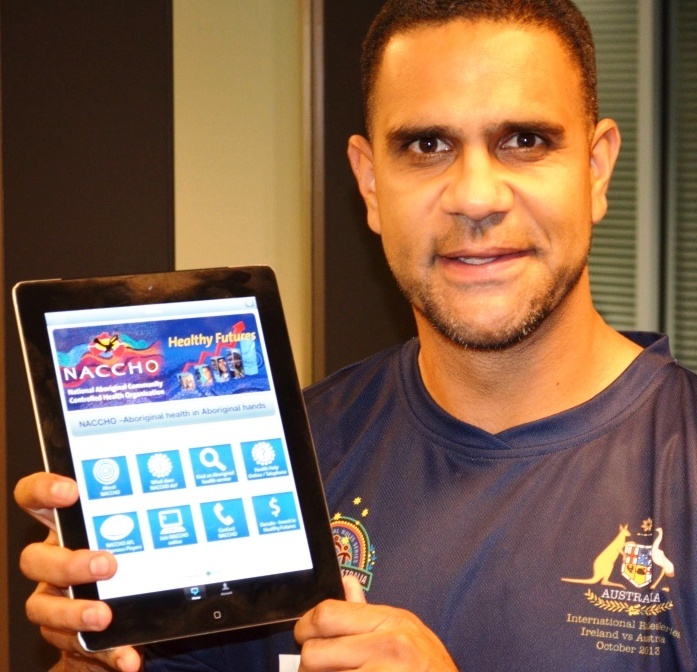 Mr Mohamed said it was quite appropriate to publicly launch the NACCHO Aboriginal Health App in front of 25 of the fittest Aboriginal males in Australia, because the new APP compliments NACCHO’s Investing in Healthy Futures for Generational Change plan 20130-2030 and sports activity is a key element to Close the Gap. “Our APP promotes the sports healthy futures program that will give Aboriginal youth the opportunity to improve their overall health and wellbeing through active participation in sports. Research shows that if a young person is happy and healthy they will be able to get the most out of their education, build their confidence and their self-belief and hopefully one day become a well-educated “Indigenous All-star” in the sport or employment of their choosing.” Mr. Mohamed said. Mr. Mohamed said he is encouraging all 150 NACCHO members and stakeholders to promote the APP to their 5,000 staff and over 100,000 clients so that our community members can really have Aboriginal health in Aboriginal Hands. All ready in first few days over 1,000 Apps have been downloaded from the APP Store and Google Android store. Here are the URL links to the App – alternatively you can type NACCHO into both stores and they come up! 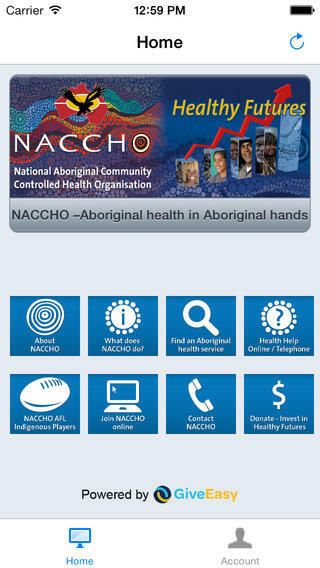 “The NACCHO App contains a geo locator, which will help you find the nearest Aboriginal Community Controlled Health Organisation in your area and provides heath information online and telephone on a wide range of topics and where you can go to get more information or assistance should you need urgent help “ Mr Mohamed said. Ambulance, Alcohol, Babies Breast Cancer, Cancer, Children, Depression, Diabetes, Domestic Violence, Drugs, eHealth, Eye Health, Gambling, Healthy Eating, Hearing, Male health, Medicare, Mental Health, Prostate cancer, Smoking , Suicide, Teenagers, Women’s Health. The NACCHO App allows users to share, connect or contact NACCHO through our social media platforms such as Twitter, Facebook, daily news alerts and the NACCHO website. The App also allows people to donate to the NACCHO Sport Health Futures program. Through the NACCO App you can make secure credit card donations, have receipts delivered straight to your device and find out how your donation is making a difference to the lives of young and old Aboriginal Australians. The Sport Health Futures program aims to distribute up to 1,000 AFL/NRL footballs, netballs, soccer balls, basketballs and other sports equipment to Aboriginal community organisations, sporting clubs and schools throughout Australia. Mr Mohamed said he would encourage any NACCHO member, Aboriginal community, sports or school to complete this online application. Aboriginal patients can now locate their nearest Aboriginal Community Controlled Health service throughout Australia. 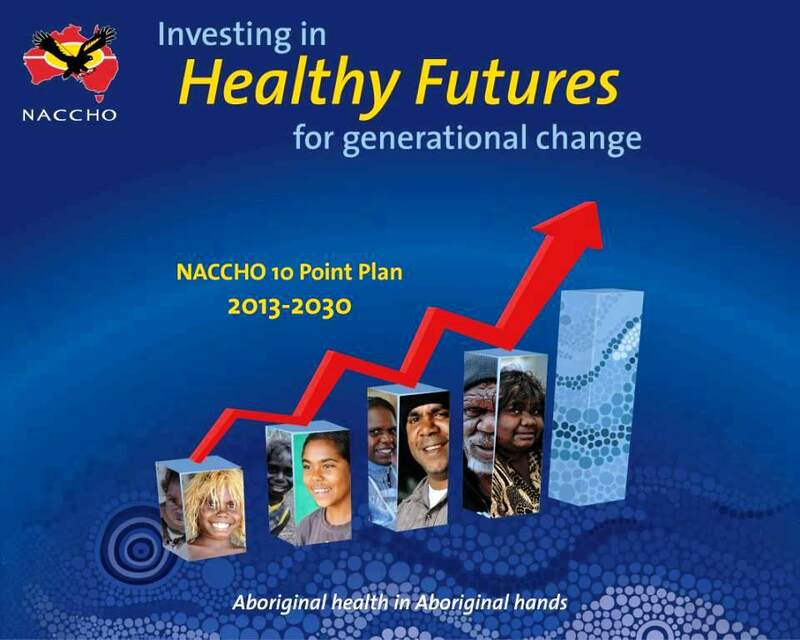 Our NACCHO Investing in Healthy Futures For Generational Change Plan 2013-2030 has just been released and by partnering in 2013 with the AFL we can promote and achieve our Close the Gap targets for our future generations. NACCHO is a proud partner of the Indigenous All-Stars Team and all the current listed AFL indigenous players are listed on this APP. 6. Invest/donate to healthy futures. We are inviting all sport followers to help NACCHO “invest in healthy futures for generational change” by donating to our sports star future fund that aims to supply over 1000 footballs, netballs, soccer balls and basketballs to Aboriginal community clubs over the next 12 months. The Minister for Health, the Hon Peter Dutton, MP announced today the first Australian Government actions to progress mental health as a key priority area. Marking World Mental Health Day, Mr Dutton said there was clearly a need for a comprehensive review of mental health services to ensure that they are delivered to those people most in need, and that funding is provided to those programmes that have proven to be most effective on the frontline. 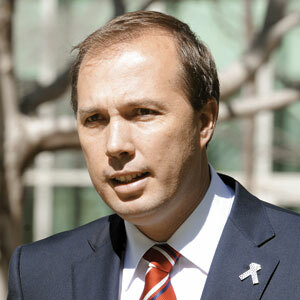 “People with mental illness deserve the same standards of access and treatment as those with a physical illness and I have asked the National Mental Health Commission to do a thorough review of all existing services, state and federal and non-government, to assess how well and efficiently they are helping their clients,” Mr Dutton said. “The Review aims to ensure services are being properly targeted, that services are not being duplicated and that programmes are not being unnecessarily burdened by red tape. Establishment of a National Centre for Excellence in Youth Mental Health. At a cost of $18 million over four years, the new National Centre will be established by the Orygen Youth Health Research Centre in Victoria which will conduct clinical trials on cutting edge treatments for young people and train a new generation of mental health workers. Development of a comprehensive e-mental health platform. With funding of $5 million over three years the Young and Well Cooperative Research Centre will develop a new, comprehensive e-mental health platform to make it easier for young people to access advice and support 24 hours a day. headspace: Building on the investment in headspace youth mental health centres, the government will expand the number of sites around Australia to 100. Mr Dutton said in Australia there is a lot of evidence that people are not getting the mental health help they need, especially young people. “More research is urgently needed to develop better ways of preventing and treating mental illness and the services provided must be guided by evidence of what works and what doesn’t. “The Review by the Mental Health Commission is the first step in establishing how we should be funding mental health programmes into the future so that people can have better access to the treatments and services they need as they struggle with mental illness,” Mr Dutton said. NACCHO as the national authority in comprenhesive Aboriginal primary health care currently has a wide range of job opportunities in the pipeline. 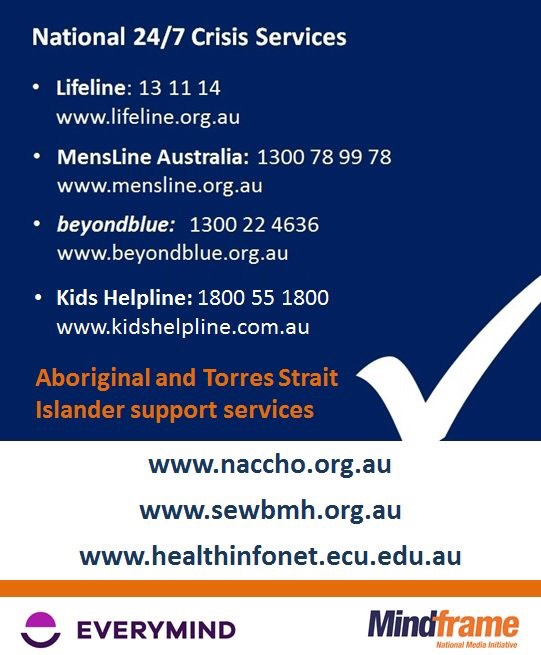 NACCHO Aboriginal Health news:Today is World Suicide Prevention Day. Let’s talk about what can be done by neighbourhoods and workplaces to identify and support people at risk. Let’s see if we can agree about what is best done by families, what by mental health professionals, what by government agencies. It’s a big ask but let us all think for some moments this week about what we personally can do, and whether there is someone in our personal network who would benefit from a chat about mental stress, or loneliness, or alienation. Former Federal Mental Health Minister Mark Butler recently released the National Aboriginal and Torres Strait Islander Suicide Prevention Strategy which aims to address Aboriginal suicide rates – which are as high as one a month is some remote Aboriginal communities. NACCHO Chair Justin Mohamed said the Federal Government’s focus on the issue, particularly the emphasis on local solutions and capacity building, is welcomed, however he said the detail of the plan still needs careful examination. “Aboriginal and Torres Strait Islander people experience suicide at around twice the rate of the rest of the population. Aboriginal teenage men and women are up to 5.9 times more likely to take their own lives than non-Aboriginal people,” Mr Mohamed said. However Mr Mohamed said that for any strategy to be effective, local, community-led healthcare needed to be at its core. “Historically, Aboriginal people have not had great experiences with the mental health system, so breaking down the barriers and building trust is going to be key and having Aboriginal people involved in the delivery of services is critical. “Aboriginal Community Controlled Health Organisations are already having the biggest impacts on holistic improvements in Aboriginal health, including mental health. We are already a trusted source of primary health care within our communities, so its important those centres play a pivotal role in any strategy. 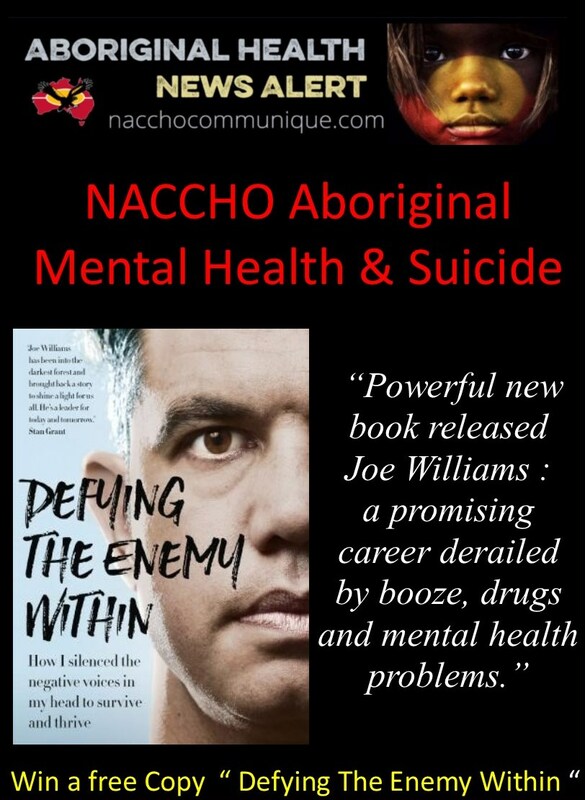 “The Aboriginal Community Controlled Health Sector has always recommended that services be funded to offer an integrated social and emotional wellbeing program with Aboriginal family support workers, alcohol and substance abuse workers, social workers and psychologists available. “Up to 15 per cent of the 10-year life expectancy gap between Aboriginal and non-Aboriginal Australians has been put down to mental health conditions. We look forward to working with the government to map out the best possible approach to addressing this crisis in our community.